The rising costs of healthcare have been a much-debated topic in the news over the last several years, and anybody that has had to go to their physician for even a simple procedure has found themselves shocked at the prices reflected on the bills that they receive. Between the costs of diagnostic tests and prescription drugs, even the most benign condition can be costly. Compared to these every day costs, the costs involved with being diagnosed with mesothelioma are truly astronomical. Simply getting to a diagnosis can be remarkably expensive, as repeated visits to the doctor for medications and follow-up appointments end up leading to diagnostic tests such as X-Rays, Magnetic Resonance Imaging tests and laboratory work. Sometimes a more invasive procedure such as a needle biopsy is ordered that costs even more, as it involves multiple health care professionals, each of whom generate their own bill. By the time that you are confirmed to have mesothelioma, you are already wondering how you are going to pay the bills. Cancer is an expensive illness to treat, regardless of where in the body it appears, but when dealing with mesothelioma the costs run even higher. including pulmonologists, surgeons, oncologists, your general practitioner, and the support and allied health care staff of the facilities in which you are treated. Each of these represents their own cost center for their services, and their bills do not generally include the expense of the surgery, chemotherapy, radiation therapy or hospitalization and therapy that they are actually provided. Chemotherapy treatments alone can reach nearly $3,000 for a single dose of a three-dose regimen. 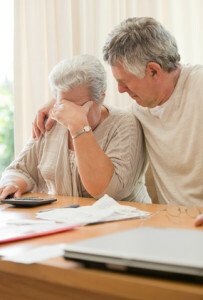 Medical bills quickly add up and mesothelioma victims are often overwhelmed. The mesothelioma lawyers at Danziger & De Llano have been helping mesothelioma patients and their families for decades. We are well-aware of the high costs of fighting this aggressive illness, and can help you get financial relief from the companies that made you sick in the first place. Call us today for information on how to get started. In addition to the expense of standard medical treatment, mesothelioma patients often have the opportunity to get involved in clinical trials that are offered through research facilities and major medical centers. These treatments are not yet approved for general use, yet they offer the latest in medical breakthroughs, and scientists need to try them before they can get approval. Many patients opt to get involved in these treatments because they offer hope for the future, or at least the opportunity to help future patients. But being involved in a clinical trial is rarely free; though some of the costs are defrayed by the research organization operating the trial, patients often have to foot some of the bill themselves, and insurance does not always pay for experimental treatments. Alternative and palliative treatments are often used for the relief of pain. These can include hypnotherapy, acupuncture, massage, chiropractic treatments and aromatherapy. Though these treatments do not offer a cure, they are still considered helpful, but their costs also add up on top of all of the other medical expenses. Mesothelioma patients also often require care at rehab facilities, home health care, or hospice. One of the ironies of mesothelioma treatments and their cost is that as your expenses continue to rise, you are often not able to continue to earn an income, as your condition weakens and debilitates you. You are also not able to provide for the same expenses that you did before you became sick, which means that you likely have other bills that you are unable to pay. Though many people are hesitant about getting involved in a lawsuit, thinking the process will be too much of a disruption while they already have so much to deal with, the reality of the medical and other bills piling up often make them reconsider, particularly when they become aware of the large settlements that other mesothelioma victims have won. Danziger & De Llano is proud to be able to point to several multi-million dollar settlements and judgments that we have won on behalf of our clients who have been diagnosed with mesothelioma, and we can offer you the same type of assistance. Give us a call or contact us and set up an appointment for a free consultation with one of our supportive and friendly staff members. With the answers to just a few questions you will be on your way to learning more about your eligibility to file a mesothelioma lawsuit so that you can get help with your expenses and have one less thing to worry about.